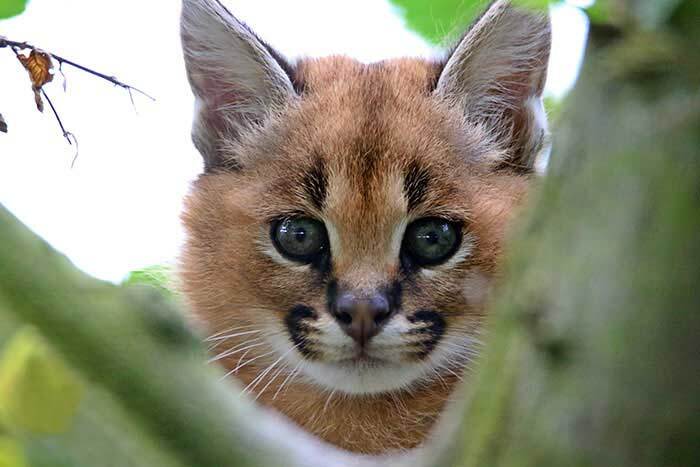 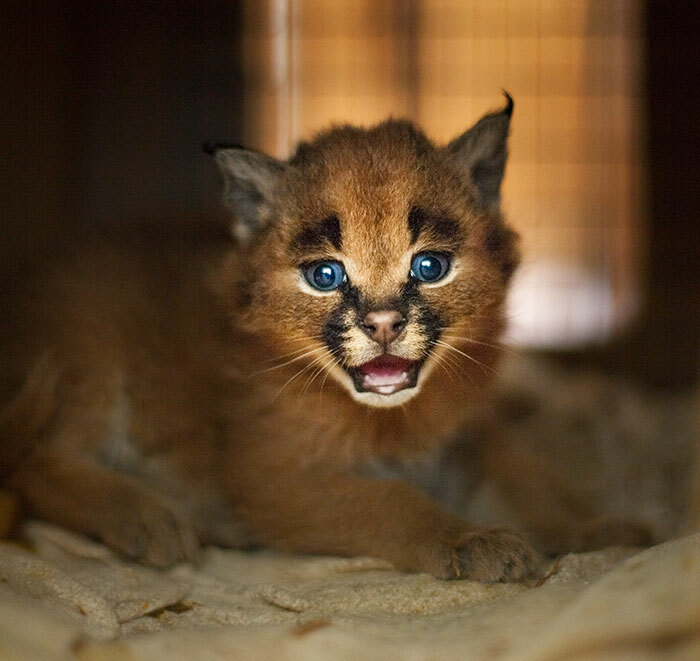 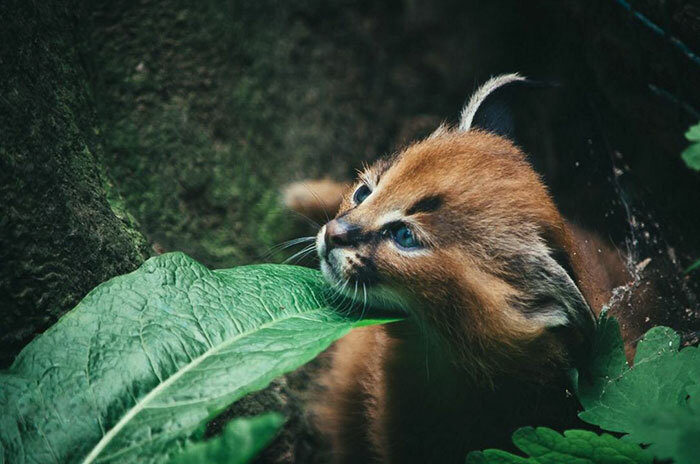 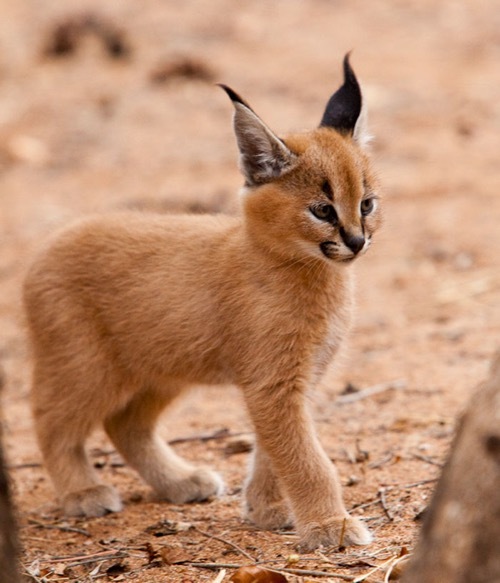 Meet the Caracals, or to be more specific, baby Caracals! 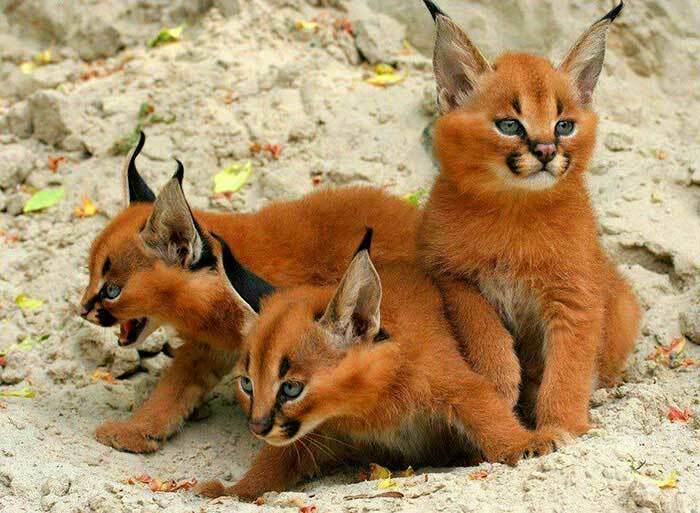 These beautiful creatures have been religiously significant to the ancient Egyptians. 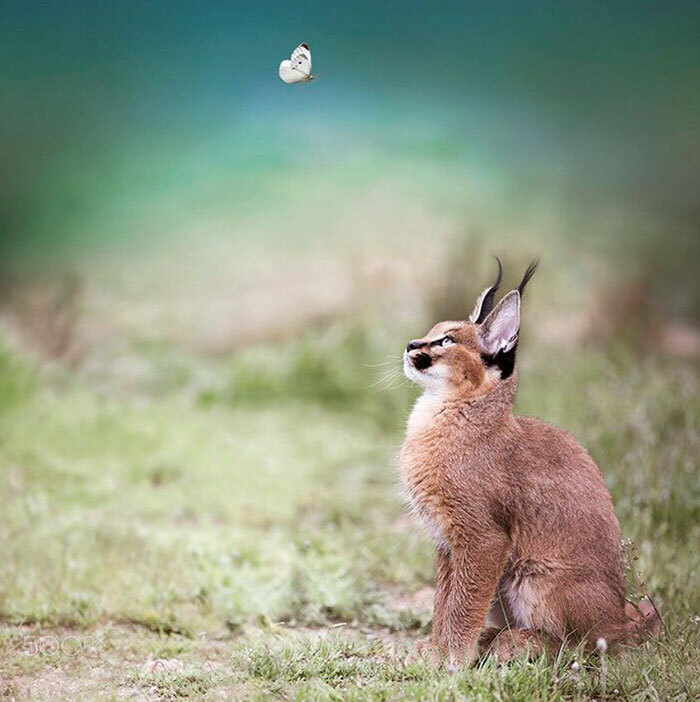 They appear in their paintings, bronze figurines and their sculptures were believed to guard the tombs of pharaohs. 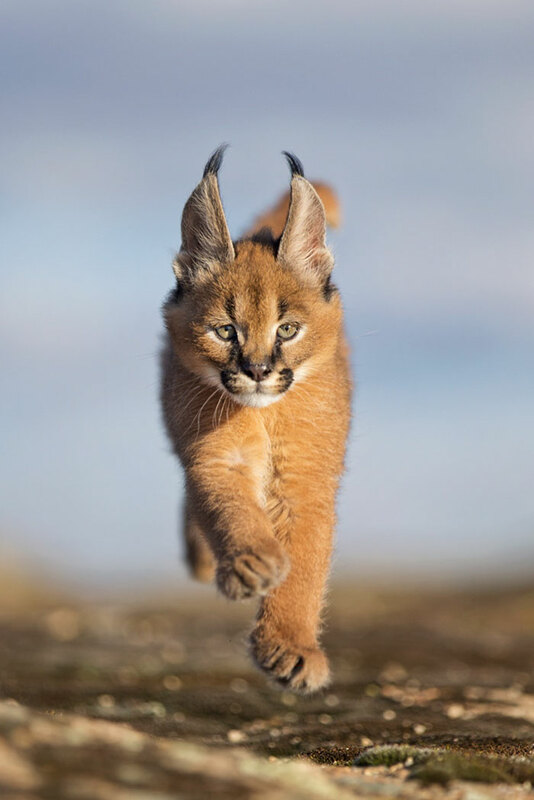 They have a sleek, streamlined body and a short reddish gold coat with dramatic markings on the face, we think they are among the most beautiful of wild cats. 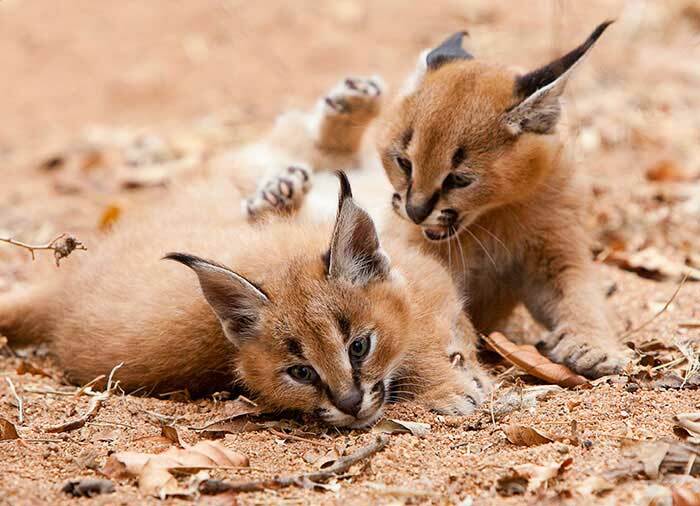 Also known the desert lynx, medium-sized caracals have no spots or stripes and have longer legs and a slimmer body than a true lynx. 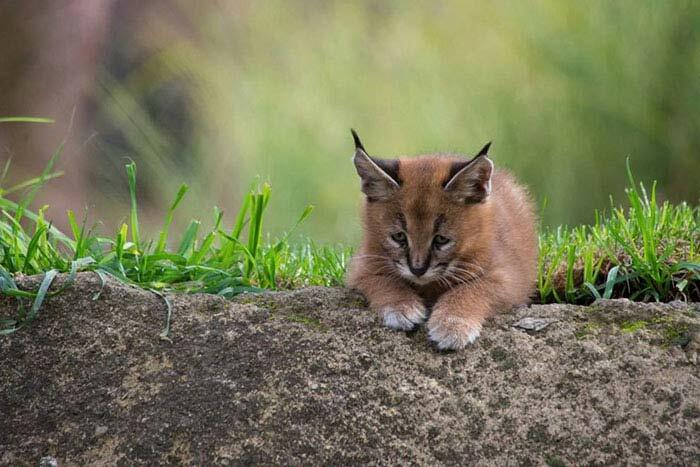 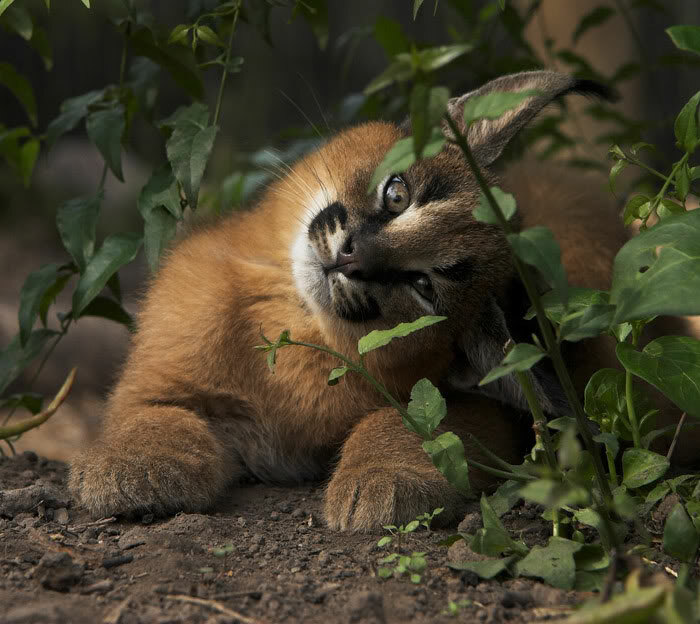 Caracals are the heaviest and also the fastest of the small cats and are the largest of the small cats in Africa. 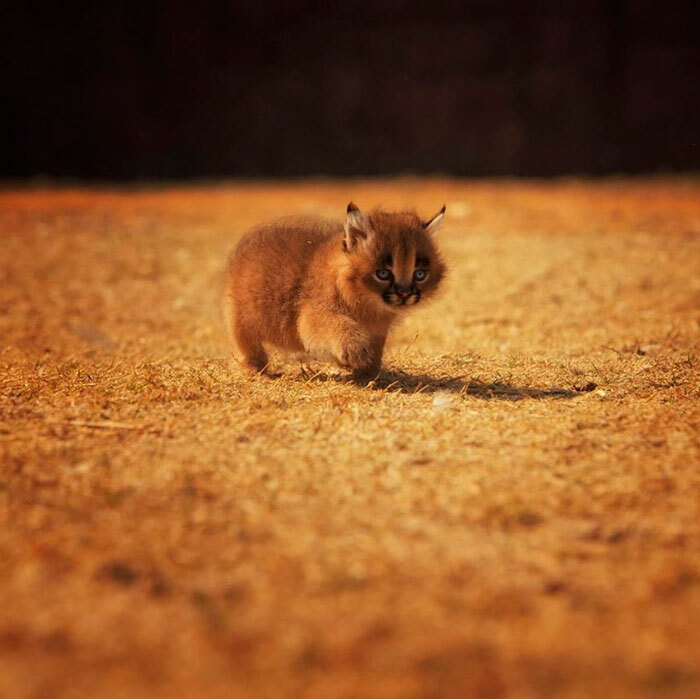 Let’s face it, the baby caracals are very cute, but we should never forget that they are wild. 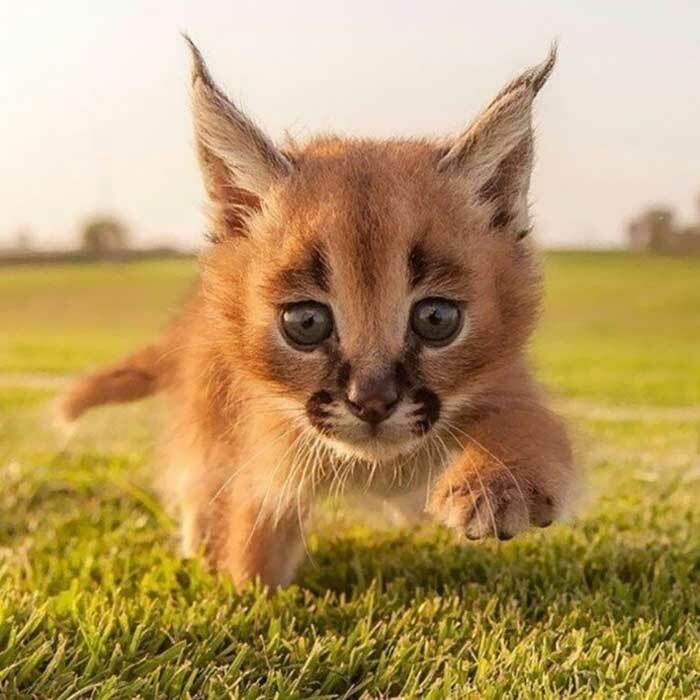 Even though it is possible to tame them and there are some people keep them as pets, these beautiful creatures should be left in their natural environment but doesn’t stop us from admiring them in this collection of fabulous photos!